China’s prestigious Tsinghua University in Beijing has imposed strict new rules on people wishing to visit its campus, including having their faces scanned into a database. Under the new system, individual visitors are required to register via the “Visit Tsinghua” option on the Chinese messaging platform WeChat. The in-app programme scans would-be visitors’ faces by requiring them to read out numbers with their phone camera switched on. They also have to provide their name and national identity card details. The university said on social media on Monday that it introduced the new system over the weekend “for security purposes”, though did not elaborate. Several of China’s top colleges, including Peking University, the University of Science and Technology Beijing, and Tsinghua, have installed facial recognition systems, but they apply only to students and faculty members. Located in Beijing’s Haidian district to the northwest of the city centre, Tsinghua is a popular destination for day trippers, especially parents with hopes their offspring might one day study at the university. 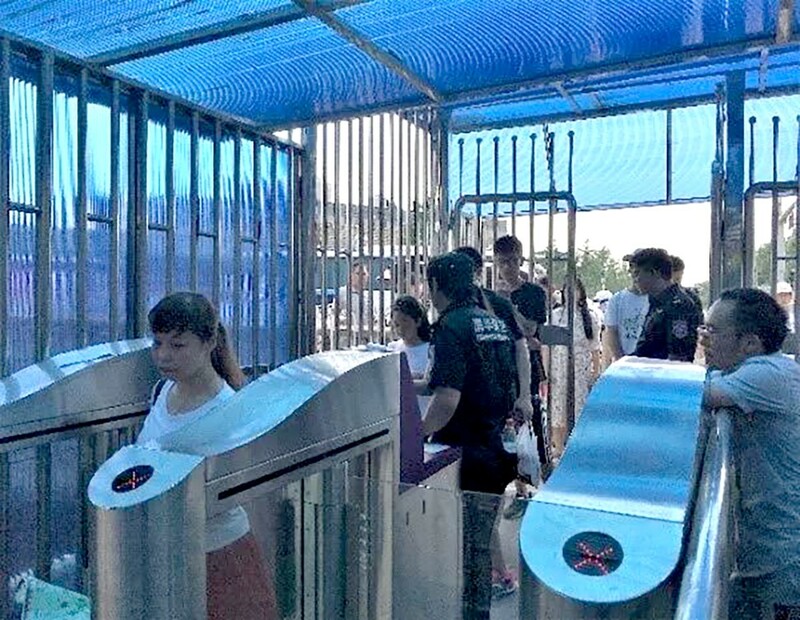 The social media posts said that “about 8,000 visitors entered our campus on Sunday, the first day after we installed the facial recognition system”. The university said that groups should make arrangements to visit via its website and that once the booking had been completed they would be assigned an official guide. The move is designed to deter scammers, as unofficial “guides” are known for operating around the campus and trying to cheat unwitting visitors out of their cash. Meanwhile, visitors who fail to arrive at the university on time will be turned away and not allowed to return for a week, the social media post said. “We warmly remind visitors: if you don’t show up and fail to cancel the appointment before 12 noon on the day you reserved, you will be banned from using the system for seven days,” it said. On arrival at the campus, all visitors must present their ID cards, and walk-ins are no longer allowed, it said.